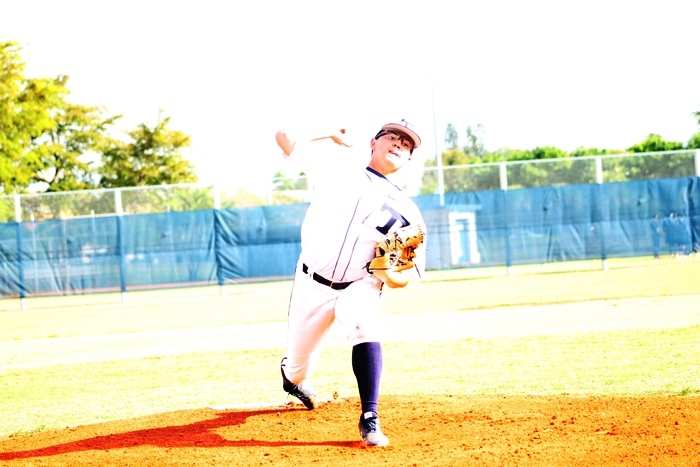 Taravella won a cross-state matchup against the Gulf Coast Sharks (Naples) on Thursday, after senior ace Cosi Scinta, tossed a complete game to secure a 2-1 victory for the Trojans. The fans were treated to a pitcher’s duel throughout. Both Scinta and Gulf Coast starter, Konnor Stone went toe to toe every inning. Stone had a shaky top of the first inning. He allowed his first walk of the year to Logan Rubin, who later came around to score on an RBI single by Ryan Alba. Both teams were quiet until the bottom of the fourth inning, when Stefano Libio drove a ball off the left field fence for an RBI Double to put the Trojans up 2-0. The Sharks would answer back in the top of the fifth, after a leadoff double from Griffin Hacker, followed by an RBI single from Matthew Geller. Gulf Coast reliever, Luke Baker, kept his team in it by not allowing a run in his two innings of work. In the top of the seventh, the Sharks first two batters reached base on with nobody, but the Trojan defense was able to get the lead runner out at third on an attempted sacrifice bunt. Still in a pressured situation, the senior right hander said he was ready for it. “I wanted the pressure. I was looking forward to it,” Scinta said. Scinta was able to force a groundball, and his defense turned a 6-4-3 double play for the win. Both teams are now 5-2, and look to build off this game going forward. The Trojans are back at it next week with a match up against South Lake. The Sharks look to bounce back against Lely as they head back home to Naples.